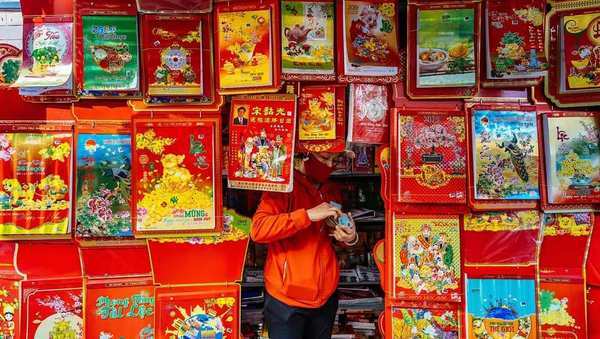 A photo taken by Instagrammer jethuynh of a calendar shop in Cho Lon, Ho Chi Minh City's equivalent of Chinatown. People decorate the "Neu" bamboo pole at a pagoda. 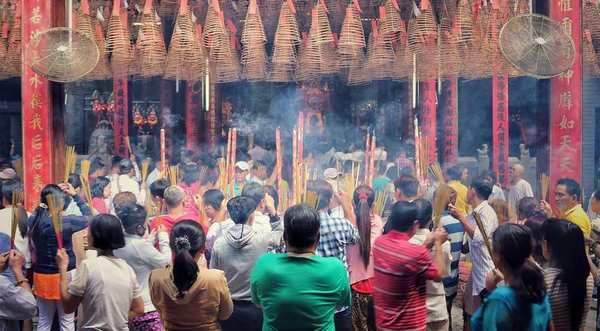 This is a tradition that Vietnamese people use to help ward off wicked spirits in a new year. Photo taken by Instagram account ducanh.story. A drone shot taken by by Instagrammer olivier.apicella of boats filled with flowers in a canal in Saigon. 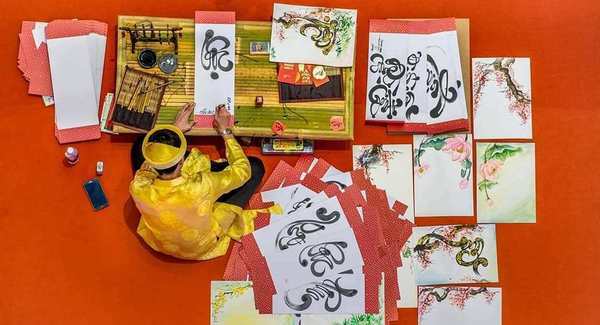 Many boats filled with flowers and flowering plants from Mekong Delta provinces such as Ben Tre, Tien Giang and Dong Thap crowd Saigon canals during the Tet holiday, catering to the huge demand for home decorations. 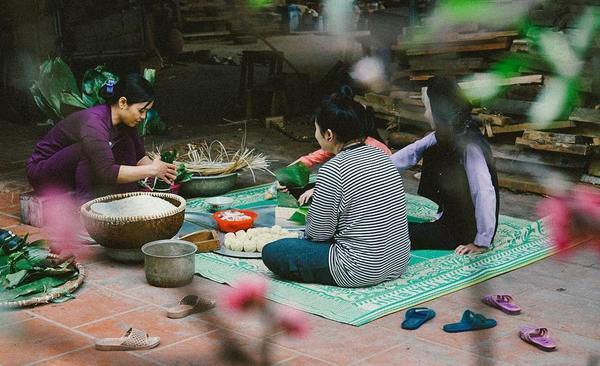 Instagram account luuquy captured the moment a family making banh chung, Vietnam’s traditional Tet sticky rice cake. 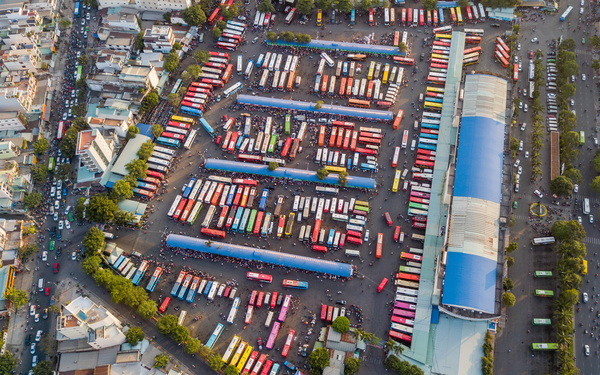 An aerial view shows buses are packed at the Mien Dong Bus Station in Saigon as migrants flock home ahead of the Lunar New Year. The station connects the southern industrial zones with Vietnam's central and northern regions. Photo taken by Quynh Tran, shared by Instagramm account vne_international. 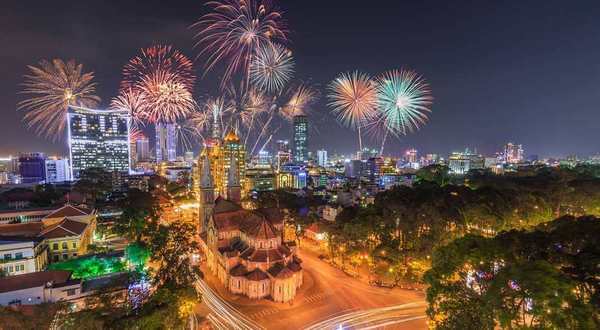 Fireworks go off in Saigon's central District 1 to mark the Lunar New Year. Instagram account lukeneville123 snatched this moment at a pagoda Saigon, as people came to pray for good things in a new year. "The streets were deserted today but the pagodas were crowded," the caption reads. Photo taken by Instagram account dotbydet at the Phat Buu Pagoda in Saigon. 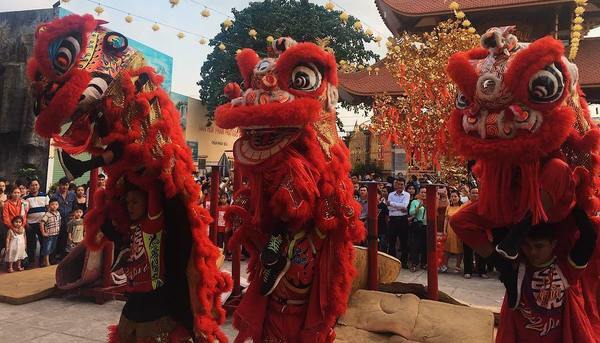 The lion dance is an important ritual of the Lunar New Year celebrations, believed to usher in good luck for all ventures. A photo taken in Saigon by kmonnguyen on Instagram. 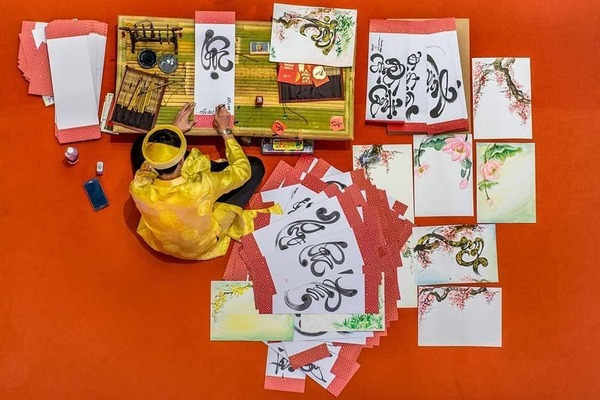 In Vietnam, one of many Tet traditions is people will ask "ong do" (calligraphers) to write Vietnamese or Chinese words for things that they desire most in life, including "happiness," "luck" and "prosperity."